#festivalseason – After 19 years, Victoria Ska & Reggae Fest burns as bright as ever. It dawned on me the other day that after Shambhala, Victoria Ska & Reggae Fest is my second longest-running festival in terms of personal attendance. If you were able to hear 95% of the music coming out of my speakers these days, that stat would probably surprise you. But the truth is that ska, along with punk, and hip–hop, were the soundtrack to my youth and pretty much all of my early 20’s. When I first heard about Ska Fest back in 2010, I thought it would be a one off kinda deal; after all, I was still living in Edmonton. But here we are, almost a decade later, having attended my eighth Ska Fest, and living about a kilometer from the very reason I ever came to Victoria in the first place. It’s funny how things can change over such a short amount of time. But while there are plenty of things that change over time – there’s also some that never need to. This year Ska Fest kicked off much like my first as the lineup was relatively unknown in my books. Sure, there were a few big names that most people would notice, but as I dug deeper the unknown outweighed those I knew. Thankfully, the good thing about not knowing a lineup is that it leaves you with plenty of new favourites to discover…and discover I did! Right off the bat Ska Fest kicked it into high gear with an all international lineup and, following in Ska Fest tradition, free attendance at the gates. First on the list was Kingston Rudieska, a 9-piece ska band spreading the sounds of Jamaica all the way from South Korea! From the moment they stepped on stage you could hear and feel their love for the music, even taking the time to learn some English phrases so they could interact with the fans between songs. Kingston Rudieska. Photo by the incomparable Colin Smith Photography. Next up was my favourite performance of the entire festival, no questions asked. 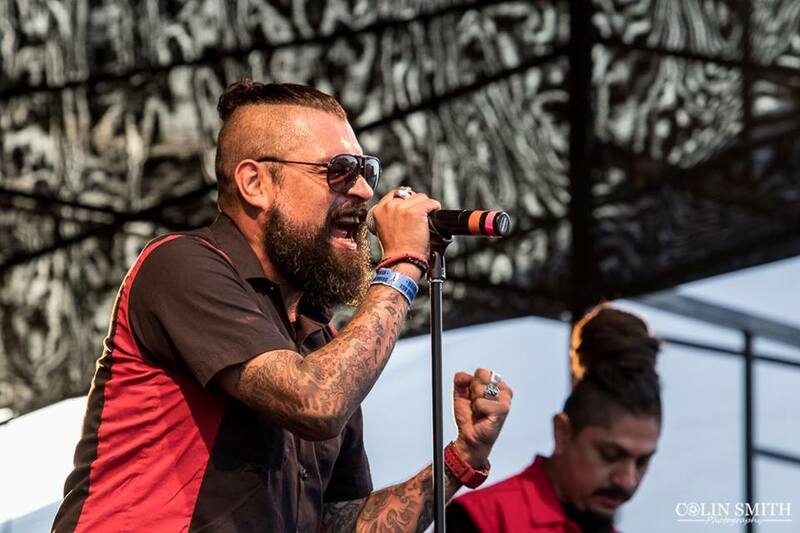 Selling out stadiums in the tens of thousands back in their native Mexico, Panteón Rococó is not just one of the biggest ska bands from the Americas, they’re one of the biggest bands south of the US, period. A couple nights after they blessed Victoria with their fast paced, energetic, multi-leveled brand of ska, Panteón Rococó played a near-sold out show in Seattle, for $40+ a ticket! The fact we got to get our skank on to a band of that magnitude is one thing, but the fact we got to do it for free...it’s just another reason why Ska & Reggae Fest is on a different level. Dr. Shenka, lead singer of Panteón Rococó. Photo by the über-talented Colin Smith Photography. Thursday continued with another free show; perfect for relaxing in the sun with a few friends. The sounds of reggae filled the air as names like Giant Panda Guerilla Dub Squad and Paapa Wastik took over the inner harbour. A perfect build up to the inevitable party that was about to hit the Upstairs Cabaret. Hot off the release of their latest album Certified Fresh, Victoria’s Illvis Freshly broke out an all-new full band, further bolstering their already anvil-heavy sound, throwing down with a mix of new jams, old classics, and a couple surprises! One of Illvis Freshly’s best sets to date (Take it from someone who's seen them countless times) was only amplified by Victoria's premier ska outfit Sweet Leaf and Comox Valley bass-dealer Lady AK rounding out the night. The weekend’s lineup was loaded with talent but there were a few performances that stood out. Friday’s show by the legendary Chali 2na & Ozomatli was something you had to experience to really get a grasp on how good it was. While Chali was a founding member of the LA Based fusion group, he eventually parted ways to focus on other interests. But for not being together for almost 20 years, they were on another level. If you didn’t know the background, one would assume they lived, ate, and breathed together; they were that in tune with one another. So when they ended the set with a 10 minute drum line that worked its way into the crowd and around the entire festival, EVERYONE got a chance to experience these legends up close and personal. Ozomatli and their longtime brother Chali 2na. Photo by the living smile Colin Smith Photography. Friday night featured Jimi Needles with Sam Klassik, and TecStylez – a bit of a different vibe from the Ska Fest you may be used to, but still oozing with beats that want to make you shake your booty. TecStylez started things off on the ones and twos before Sam Klassik filled the room with his magic axe. As the grooves dripped out of the guitar, things got a little funkier and heavier to make way for Jimi Needles. Making his Canadian debut after what seemed like a decade of waiting, Needles cut up track after track, and just when you thought he was done, he’d slice it up some more. Witnessing him working his way through breaks, hip-hop, jungle (Combining with impromptu collaboration with the brass players from Nanaimo's Dope Soda) it was immediately evident why Needles has become such an acclaimed party rocker throughout Europe. A selector, a turntablist, and an all-around nice guy, Jimi Needles was a sight to behold and a sound to be heard. Dicky Barrett, smiling politely. Photo by the Peoples' Champ, Colin Smith Photography. The Mighty Mighty Bosstones are unquestionably one of the biggest names in ska to ever exist, and having being formed over thirty years ago, they’ve had a looooong time to build up a fan base. That fact was evident once the crowd began to gather Saturday night for what was quite possibly the most crowded show ever witnessed at Ska Fest. The hype was real once the Bosstones took the stage, and before you knew it the entire crowd was jumping around and singing along. The songs from their new album While We're At It stood proudly next to old classics like “Royal Oil” and “The Impression That I Get.” Regardless if you enjoy their music or not (but seriously how could you not? ), there’s no denying the energy of a Mighty Mighty Bosstones show. Pure energy, fun lyrics, and they absolutely love to get the crowd involved. The kind of show if you’re sitting there arms crossed, you’ll probably get called out. If you ever get the chance to see them, don’t sleep on it. 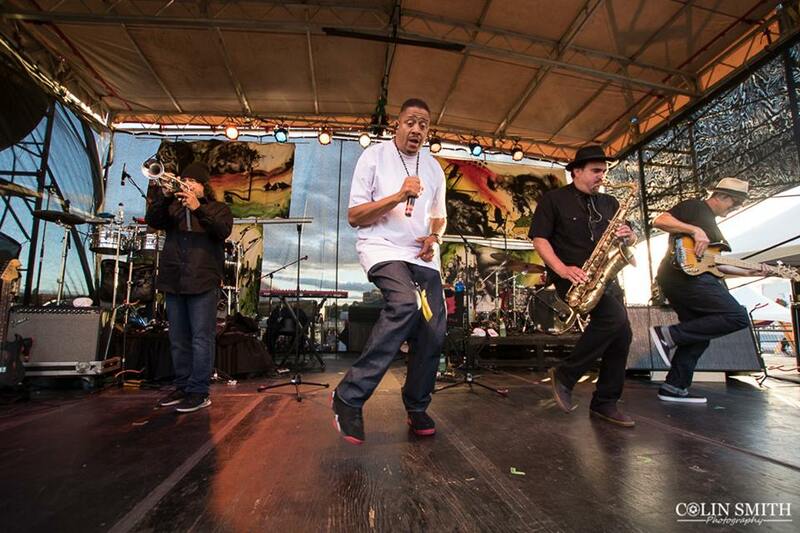 One of the biggest discoveries of the weekend came when Fredy V & the Foundation took the stage Sunday evening. Having never heard a second of their music before that very show, I was pleasantly surprised by the soulful sounds that wound down my weekend. A mix of funk, rock, reggae, and soul, Fredy V & the Foundation reminded me of some Prince/James Brown hybrid and had me hooked from the first song. Unfortunately for myself, that ended up being the last set of the weekend. As excited for the Kingpins and the Resignators as I was, one thing you definitely learn with age is to not argue with the body. Next-level purveyour of FUNK, Fredy V. Photo by the always on-point Colin Smith Photography. So that about does it. Straight from the horses mouth. Is that a phrase? It doesn’t matter, because the 19th annual Victoria Ska & Reggae Fest may have come and gone, but the desire to keep on skankin' is still burning on. Only about 11 months until the next one, but thankfully the Victoria Ska & Reggae Society has our backs with some shows before then...the Wailers anyone?! ?